I’ve learned so much from taking my kids to various appointments and specialists over the years and taking my daughter to a dermatologist was no different. One particularly dry winter, we went to a regular appointment and my daughter expressed her concerns about dryness she was seeing with her sensitive skin. The first thing her doctor recommended was coconut oil – just the regular container that can be easily found on grocery store shelves! My immediate concern was that oil would clog the pores and create more acne? The dermatologist said not to worry about it because it’s an excellent and natural way to moisturize sensitive skin. I watched my teen daughter use (and RAVE) about the benefits of coconut oil for a year. She loved how it felt. She loved that it helped with dryness. She even loved how it ironically seemed to clear up numerous acne breakouts month after month. I’ll be honest here… ‘cause that’s how I roll. I don’t jump on bandwagons. I’m never the first to try a new trend. I’m always watching, learning and often find myself being skeptical of things that sound too good, or too easy, to be true. So, for a year, I watched my daughter swear by the benefits of using coconut oil on her face before I actually tried it myself. At the age of 52, adult acne has almost felt like a cruel joke some days. Standing at a double sink vanity with my teenage daughter night after night is an exercise in patience as I hear her complain that she’s too old (at 14) to have acne anymore. As I look in the mirror at my own face, I feel invisible. Can she not see my troubled skin that’s 38 years older than hers? Can she not see my own blemishes and my own personal battle I endure with adult acne? It was on one of these nights when I prayed for patience and teenage understanding that I finally asked her to pass the jar of coconut oil to me. She smiled in a short moment of compassion and explained to me that she rubs it all over her face and then washes it off with a warm washcloth. I followed her instructions and immediately LOVED the way my skin felt. So I tried it again the next morning. And I used it again that night. And within a few days, I noticed my complexion was glowing! In fact, it made such a difference in my skin that I’ve now been using it for almost six months! My acne breakouts have been reduced drastically with my consistent use, as well. When I sat down to research coconut oil, I was surprised to see all of the information about its natural antibiotic properties with Vitamin K, Vitamin E and fatty acids. 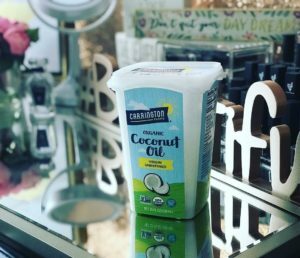 I’ve tried using it quite a few different ways and I’ve compiled my favorite “10 Beauty Hacks for Coconut Oil” just for you! 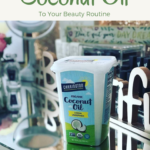 Coconut oil is a fantastic way to remove makeup each night. You can gently rub it into your skin and wash it off with a warm washcloth. You can also use it to remove eye makeup – even waterproof mascara! Just dab a bit of coconut oil onto a cotton ball or cotton pad and gently wipe away the makeup on your eyelids and eyelashes! I also learned from my daughter’s dermatologist, that women tend to over exfoliate their face when the skin actually may need more moisture – not less. So now I skip the facial scrub and reach for the coconut oil to use it under my regular moisturizer daily! I was worried that it would make my face feel oily. But that has not been the case at all. I have seen such improvement in my skin since doing this consistently. If you love face masks as much as me, you’ll want to try this! Add 1 tablespoon of honey to 1 tablespoon of melted coconut oil. Let this mixture rest for 15-20 minutes. Apply to a clean, dry face… then wait 10 minutes. Remove with a warm washcloth and enjoy how silky and smooth your skin will feel! If you suffer through the winter with dry or chapped lips, coconut oil is a very soothing emollient to help repair painful chafing. But I also love to use it during the heat of summer (when I’m outside the most) to help keep my lips soft and moist, as well! Use it alone, or use it as a base coat under other lip products. I also love to swipe a bit of coconut oil onto my lips before I go to sleep! Make-your-own body scrub recipes can be found all over Pinterest and coconut oil pairs easily with a few different things to make you a pin-worthy scrub of your own! Mix with even parts of salt, sugar or even ground coffee to make a body scrub that will leave your skin feeling invigorated and super smooth! If your legs are feeling flaky and dry, give this common pantry staple a try next time you need to shave. Coconut oil is a very soothing and conditioning oil and lends itself perfectly to the art of shaving. Your legs will feel soft, smooth and revived! I personally think it’s also hard to beat the coconut smell, as well! Honestly, my cuticles struggle year-round; however, since I’ve been working coconut oil into and around my nails, I’m noticing such a difference! It’s an easy way to keep the skin around your nails softer, moisturized and conditioned. I used to buy fancy lotions and creams to moisturize my feet, but now I just use a little bit of coconut oil – especially on my rough heels. Sometimes I like to rub it in before I go to sleep at night. I slip on soft, white socks, go to sleep and wake up to smoother and softer feet by morning! Are you cleaning your makeup brushes each weekend? Or once a month? Here is an easy way to take care of your investment in makeup tools! Simply mix 2 parts antibacterial soap with 1 part coconut oil… swish… dry upside down… and your brushes will be clean and ready to use after air drying! You’re probably already concluded that if coconut oil is a good moisturizer for your face, hands and feet, then it’s also the perfect way to moisturize skin all over your body. If you struggle with dry, flaky or itchy skin through the winter months – or if you suffer through hot, dry summer months – coconut oil is an excellent way to keep your skin supple and soft. I especially love to use it for dry or patchy skin on my elbows and knees, too! 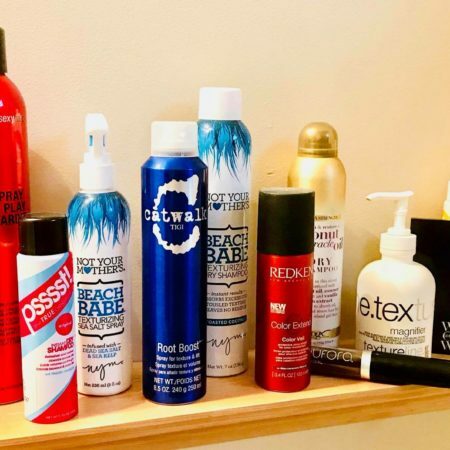 What product from your kitchen pantry should you be using on your face? This is the COCNUT OIL I love to use! You can even purchase small GO PAKS to take it along with you on trips and vacations! So now that I’ve give you so many different ways to use coconut oil, I’m excited to hear YOUR results! Or maybe you have other ways that you work it into your own beauty routine? 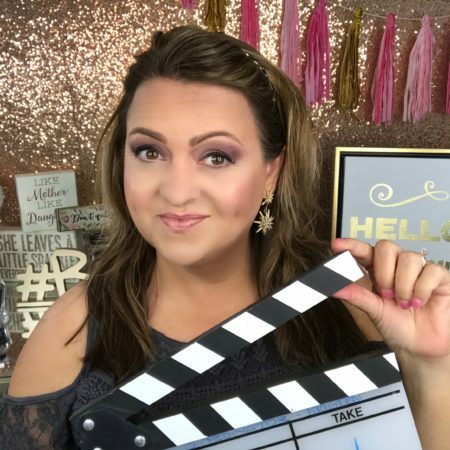 Leave me a comment below and tell me which tip you love the best… or share one of your own with me here too! I’d love to write a follow up blog with your recommendations!